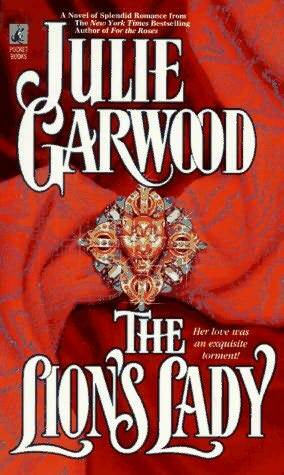 This weekend found me sitting on bed and enjoying a feisty romance story by Julie Garwood i.e. The Lion’s Lady. The story starts with a group of red Indians where the “holy man” goes up to the mountains to receive a dream or revelation. During that time, the daughter and grandson of the chief of the tribe had disappeared and everyone had given up hopes of ever finding them alive. A day or two after the “holy man” receives the “revelation” the daughter and grandson returns to the tribe with Christina Bennett in her arms, a baby at that stage with a fierce possessiveness for her mama and her brother. Her actual mother had rescued the daughter and grandson from near death and died herself a few days later by an attack from a wild bear. Christina’s mother leaves behind a diary of her journey and why she had traveled so far away from London to get to where she was. Its up to Christina to avenge for the injustice that was borne on her mother by her husband. Thus a grown up and a beautiful and desirable lady, Christina returns to the London society taking it up by a storm where every eligible man for miles is intrigued by the aura of mystery that surrounds this woman. Lyon, Marquis of Lyonwood finds her as irresistible and thus begins an enjoyable journey of wits, passion, love and romance that would take your breathe away. I loved the book, as I usually do with most of Julie Garwood’s books. Makes quite an enjoyable read. ← Were They or Were They NOT on a BREAK?